There was once a planet of Chihuahuas. These Chihuahuas were kind and nice. In fact, they were the kindest and nicest of Chihuahuas. They enjoyed a fruitful and good life on the Chihuahua planet. In fact, it was the most fruitful and best life that anyone could hope to have. The Chihuahuas were under the command of a most benevolent leader. In fact, he was the most benevolent of leaders that anyone could hope to have lead them. 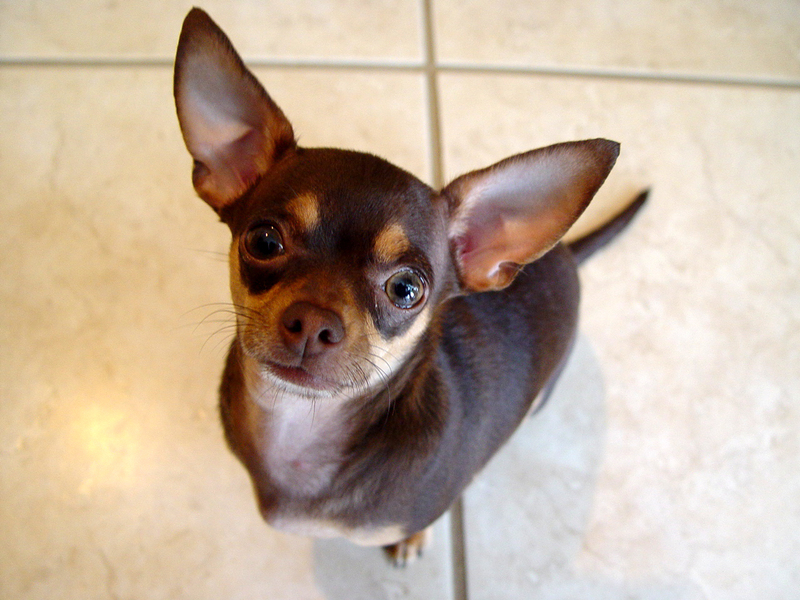 The leader of the Chihuahua planet was the Commander of an army of Chihuahuas. The Commander himself appointed the generals of this army, the colonels, the majors, even down to the lowest of Chihuahuas that were privates. One day the leader and Commander of the Chihuahuas learned that there was an inhabited planet nearby. This planet was inhabited by Pit Bulls. But these were not just normal Pit Bulls. These were vicious and fierce Pit Bulls. In fact, they were the most vicious and most fierce of Pit Bulls. The Commander of the Chihuahuas wanted to reach out to the inhabitants of the Pit Bull planet with peace. So he sent space ships loaded with Chihuahuas to the Pit Bull planet. The Chihuahua army went to the Pit Bull planet but they were not a conquering army. They were an army appointed and trained for only one purpose which was to extend peace and invite others to the beautiful Chihuahua planet. The Chihuahuas were spread out in groups all across the Pitt Bull planet. Each group of privates were under the command of their sergeant. They were to set up camps across the Pitt Bull planet. Once the Chihuahuas set up their camps, they set off to invite the Pitt Bulls to the great feast on the Chihuahua planet. And things went very well for the Chihuahuas for a time. Even though the Pit Bulls were exceedingly vicious, they were not threatened by the little Chihuahuas who just ran around being friendly and inviting Pitt Bulls to their planet. Therefore, many of the Pitt Bulls accepted the invitation and even became friends with the Chihuahuas. However, after being on the Pitt Bull planet for a while the Chihuahuas started noticing how the Pit Bulls ran things there. Instead of leaders appointed by a commander, like on the Chihuahua planet, the Pit Bulls would form into packs. The pack would choose its own leader called the Alpha. This was the only way they knew to do things since they did not have a good benevolent leader and commander like on the Chihuahua planet to appoint leaders for them. The selection of the Alpha out of the pack often resulted in fights among a pack. But the worst and most common fighting happened when the Alpha tried to make decisions and lead his pack. Constantly packs would attack the Alpha because they wanted to do things their way and not follow the lead of their Alpha. (One must wonder, why then did they select an Alpha to lead if they did not want to actually be led?) Because the pack selected their own Alpha, they thought they were in charge of the Alpha. But how can the leader be in charge and the pack under him also be in charge? Everyone thought they were in charge! And this is where all the fighting came from. Usually one Pitt Bull within the pack would attack the Alpha to take his place. Sometimes, all the Pitt Bulls decided they did not like the Alpha so they all attacked him. The fighting within packs was the bloodiest fighting of all. Many Pitt Bulls died from fighting within their same pack. One day, the Chihuahua privates in one camp got together to talk about how things were done on the Pitt Bull planet. One Chihuahua private pointed out how the Pitt Bulls got to pick their own leader instead of having one appointed for them by a commander. This seemed to be fairer, in his opinion. He also said he wished that Chihuahuas could not only pick their own leaders but that he could be a leader himself. On this world it was possible but you would never see such a thing where they came from! But another private pointed out that this was a miserable planet with all the bloodshed, fighting, and deaths within packs. On Chihuahua planet there has never been bloodshed or any type of fighting among Chihuahuas. And he said they were not there to be like the Pitt Bulls. They were just there to invite the Pit Bulls to Chihuahua planet and when they were finished they could go home. If they would just hurry and invite everyone, the job would be done and they could go back home to the beautiful Chihuahua planet quickly. The first Chihuahua decided he did not like the way things were set up on the Chihuahua planet with one commander selecting the leaders. He wanted the Chihuahuas to be free to select their own leaders and be like the Pitt Bulls. This seemed most logical and fair. So this Chihuahua private went from camp to camp telling every Chihuahua private he met how much better it would be if they could select their own leaders among themselves. This Chihuahua one day decided it was time for him to lead and become the Alpha in his camp…the very first Chihuahua Alpha. He saw that to become an Alpha in a pack you had to be vicious and fierce tearing down the current leader so that you could lead. He started telling all the other privates in his camp how unfit the Sergeant, appointed by the Commander of Chihuahua planet, was to lead the camp. The Sergeant just did not attend to the needs of the camp like he should and if he were the leader, he would do things differently. With vicious words he tore down the Sergeant and made everyone question why the Sergeant was leading them in the first place. It did not take long before the camp decided to have a vote for a new Chihuahua leader… it’s very first vote. And so this Chihuahua private was voted to become the Alpha and all the Chihuahua privates attacked and killed the Sergeant. Soon this was happening in all the camps. Chihuahua privates started selecting their own leaders among themselves. There was much bloodshed among the Chihuahuas and many many sergeants died. The Chihuahuas all learned to be like the Pitt Bulls, vicious and fierce. In fact, they were the most vicious and most fierce of all Chihuahuas. Soon, no more Sergeants ran their camps. There were no more camps! Just packs now. So the planet became full of vicious and fierce Chihuahua packs alongside vicious and fierce Pitt Bull packs. And within every pack there was constant strife and fighting about whichever Alpha was leading at the moment. So much so that he could only be an Alpha for a short time before another would take his place and the pack would kill the former Alpha. However, one Sergeant survived the attacks by his privates and made it home to the Chihuahua planet to tell the Commander. The Commander was outraged for he sent them to the Pitt Bull planet to invite the Pitt Bulls – not to become like them! He came to the Pitt Bull planet personally. First he gathered all those Pitt Bulls who accepted the offer of peace and sent them off to the feast on the Chihuahua planet. He also observed how the privates in His army had become like the vicious and fierce Pitt Bulls fighting each other and killing each other to become Alphas or to control the packs. And so, he left them on Pitt Bull planet to live with what they chose. But soon the remaining Pitt Bulls got tired of the little Chihuahuas…and the Chihuahuas of Pitt Bull planet…were no more.